Bitfinex mainly targets professional traders who have a lot of money to spend. The exchange no longer allows new users to sign-up unless they have more than 10.000 USD on the account. 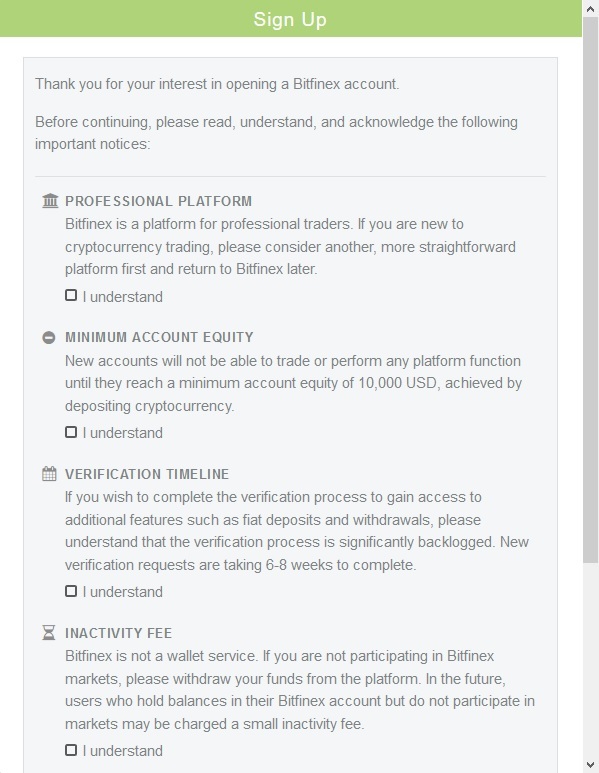 Go to the Bitfinex website and navigate to the top right of the website to create an account. Bitfinex only wants "real" legitimate traders on the exchange. You need to have a considerable bulk of funds at hand and walk-through a long verification process. After walking through the process and accepting all the conditions you are good to go. Fund your account and link the API keys! Navigate to the top right corner of your screen and mouse over the user icon. A drop-down menu will appear, from which you need to select "API". After navigating to the API creation screen, press "New key". Do NOT give Cryptohopper Withdrawl rights. After creating the key, link it to your hopper and you should be good to go. 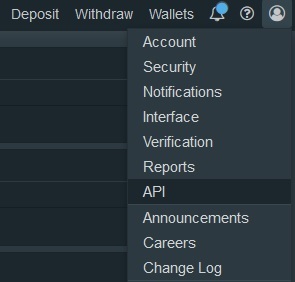 WARNING: when creating your API key at Bitfinex you will only be able to see it once. Make sure to write it down!